I recently had the opportunity to sample 24 hours in life of a Platinum® Cardmember when I visited the world-renowned port of Rotterdam with American Express®. Following a relaxing start to my trip using the Priority Pass that I got as a Cardmember for the day to get into London Heathrow’s Terminal 5 Aspire Lounge and Spa, I was ready to venture into the city to see what it had to offer. Rotterdam is often overlooked by tourists, yet is more than worthy of a visit in its own right, if only for its amazing architecture. This is a city with surviving pre-War buildings, but this means there is an interesting mix of buildings – both old and new. Here are six architectural highlights to look out for. A focal point of the city is the new Rotterdam Central Station which was officially opened by King Willem Alexander of the Netherlands in March 2014. The old station no longer kept up with the demands of this thriving metropolis so ProRail and the Municipality of Rotterdam awarded the contract for the design of the new station to Team CS; a co-operative between Benthem Crouwel Architekten, MVSA Meyer and Van Schooten Architects, and West 8. Today, the new station has high-speed rail links with France and Belgium, as well as with Amsterdam, Schiphol and Breda, and serves over 100,000 people per day. It has been designed to be able to cope with a three-fold increase since traveller numbers were projected to be 320,000 per day by 2025. The grand entrance on the south side of the station, at the explicit request of the people of Rotterdam, bears the name Centraal Station in the same lettering that architect Sybold van Ravesteyn had put on the old station. There is also a large concourse on this side, beneath which there is space to park 5,190 bicycles. From here it is also easy to transfer to metros, trams and buses. The roof of the building, which is clad with stainless steel, is said to point to the heart of the city. Over one third of the roof – the area that gets the most sun, taking the buildings of the city into account – is covered in solar cells, making it one of the largest solar rooftop projects in Europe. Designed by Ben van Berkel and named after Desiderius Erasmus (aka Erasmus of Rotterdam), this famous cable-stayed bridge is a notable landmark in Rotterdam and has earned the affectionate nickname ‘The Swan’ due to its asymmetrical pylon which stands 139 metres tall. The southernmost portion is a bascule bridge to allow tall ships to pass through. Completed in 1996 when it was officially opened by Queen Beatrix, it is the second large bridge in the Netherlands and best enjoyed on a gentle stroll along the River Nieuwe Maas which it spans. Today the 802-metre long bridge provides an important and significant connection between the North and the South of the city. Architect Piet Blom designed these lifted and tilted cubic houses in the early 1970s and to this day they offer great contrast to the rest of Rotterdam, giving the impression of a village within a city. Inspired by the Ponte Vecchio in Florence, Blom based his creation on the concept of ‘living as an urban roof’. Each cube sits on a hexagonally-shaped base, taking the form of an abstract tree, and the resulting design makes you wonder how the interiors must also look. You can see for yourself since one of the houses is open to the public. Perhaps surprisingly each house contains three floors, and furnishing the properties is an interesting challenge since the walls and windows are angled at 54.7 degrees. It’s hard not to find the Markthal appealing. Completed in October 2014 and combining both residential apartments and offices in its horseshoe-shaped outer walls and roof, the building is also home a large market hall with a glass facade at each end. Inside, the mural-covered walls and ceiling are as bold as they are colourful. The artwork by Arno Coenen covers 11,000 square metres with bold fruits, vegetables, seeds, fish, flowers and insects. So large is this piece of art that it needed special servers to handle it – the same as used by Pixar Studios to make animated movies. Some have called it the largest piece of artwork in the world whilst others prefer to refer to it as The Sistine Chapel of Rotterdam. It is no ordinary market in the building – made of food stalls and eating outlets, it is more an upscale food hall than a traditional market, but an excellent one at that. Brightly coloured doughnuts, fresh fruits, exotic spices, unusual tapas, cured meats… you’ll find it all here. Situated in a park in the heart of Rotterdam, and close to the Euromast, is Parkheuval Restaurant. This round and modern building was designed by the architect Henk Klunder back in 1988, with an interior designed by Jeroen Smeele. The restaurant has a warm atmosphere in the inside, whilst the outside has a terrace with spectacular river views. There is a lounge and bar with a warm atmosphere in the foyer and the restaurant itself, with its cosy art deco style, is shaped as a half-moon allowing diners to enjoy the views. Close to the southern end of the Erasmus Bridge is a three-towered building that is 150 metres tall and more than 100 metres wide called de Rotterdam. Completed by the country’s most celebrated architect, Rem Koolhaas, it is one of the biggest buildings in Europe and an indication of Rotterdam’s resilience during uncertain economic times. The towers are stacked slightly haphazardly, making it more interesting to look at; it was finished in 2013 and, in the following year, received an award from Council on Tall Buildings & Urban Habitat (CTBHU) for being the best tall building in Europe. Within one of the towers is the Nhow Hotel and, on the 7th floor, Bar Nhow, voted the best bar in the city. It offers fabulous views over the Erasmus Bridge and out towards the northern Rotterdam skyline. For more on my visit, see the following video that I made in conjunction with American Express. I stayed at the Mainport Hotel, Hotel, a stylish city centre design hotel. Platinum benefits at the include complimentary continental breakfast for up to two people, complimentary Wi-Fi, a late check-out (2pm) and one class room upgrade at the time of booking if available (unless you are already booked into the Waterfront Spa room which is the best in the hotel). Luckily, I was already checked into the Waterfront Spa room which came with the added bonus of a view over the river. My bathroom even included a sauna just about big enough for two. The hotel has 215 rooms and suites; additional facilities include a spa, gym and bar. Dinner at the two Michelin-starred Parkheuvel Restaurant is an experience not to be missed, only a short, pleasant walk along the river if you’re staying at the Mainport Hotel. I used my complimentary Boingo Wifi, which has over one million hotspots worldwide and is also a perk of being a Platinum Cardmember, to ensure I was following the right path! Luckily, I had been able to get a table thanks to my Platinum Concierge who was able to make a reservation despite the restaurant being full when I tried to book. Following a refreshing amuse-bouche of oyster with cucumber and mint, I had scallops described on the menu as ’black and white’. Various components made up the black and the white, such as chicory, caviar, squid ink, tatsoi, white mushroom, crème fraiche and, of course, the scallops themselves. There was a lot going on at once on the plate, but it looked very attractive and somehow it all seemed to work well together, with the scallops being so succulent and the saltiness of the caviar being offset by the sweetness of the crème fraiche. Another amuse-bouche followed – a combination of tender carrots, mascarpone and mustard seed – before the main event, and the highlight of the dinner for me, the signature dish of ravioli of black Bresse chicken with pan-fried langoustines on a bed of forest mushrooms. This was a rich and gutsy yet somehow wonderfully light at the same time… an excellent dish – I would go back just to taste it again! For dessert, I had the Parkheuvel Snickers® – their delectable take on the popular confectionery bar we all know – complete with gold leaf. Platinum from American Express curates extraordinary and enriching experiences for Cardmembers across travel, fashion, shopping, dining, music and the arts. These experiences range from personal shopping advisors to bespoke events from the likes of National Theatre and London Film Festival to complimentary dining courses or cocktails at some of the world’s best restaurants. Lounge access – relax in one of over 700 airport lounges sprawled across over 90 countries with Priority Pass. Hotel deals and upgrades – with Fine Hotel and Resorts plus benefits including room upgrades if available at check-in, complimentary breakfast and late check-out with Starwood and Club Carlson hotels. Wi-Fi access – thanks to Boingo, with over a million hotspots globally. Membership Rewards – earn 1 Membership Reward point for virtually every £1 spent. 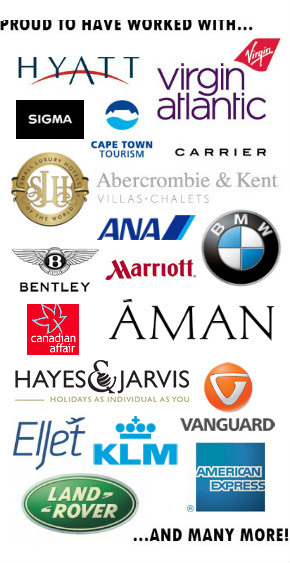 Membership Rewards points can be redeemed against a wide range of shopping, flights and holidays across a range of globally renowned brands including Paul Smith, British Airways and Harrods. Platinum from American Express has an annual fee of £450. Applicants must be 18 years old or over and approval is subject to status.  Two return flights from London to Barcelona/Venice (15,000 Membership Rewards points per person) or one business class flight from London to Barcelona/Venice (30,000 Membership Rewards points per person).  One Membership Rewards Point can also be converted to one Avios point, giving access to a whole host of travel benefits. Terms, taxes, fees and charges apply. This article was written in association with American Express. A Luxury Travel Blog maintains full editorial control of the content published on this site. If you’d prefer a Card without any rewards, or other features of a Cardmembership fee, an alternative Card is available. The Platinum Card is offered by American Express Services Europe Limited which has its registered office at Belgrave House, 76 Buckingham Palace Road, London, SW1W 9AX, United Kingdom. It is registered in England and Wales with Company Number 1833139 and authorised and regulated by the Financial Conduct Authority.